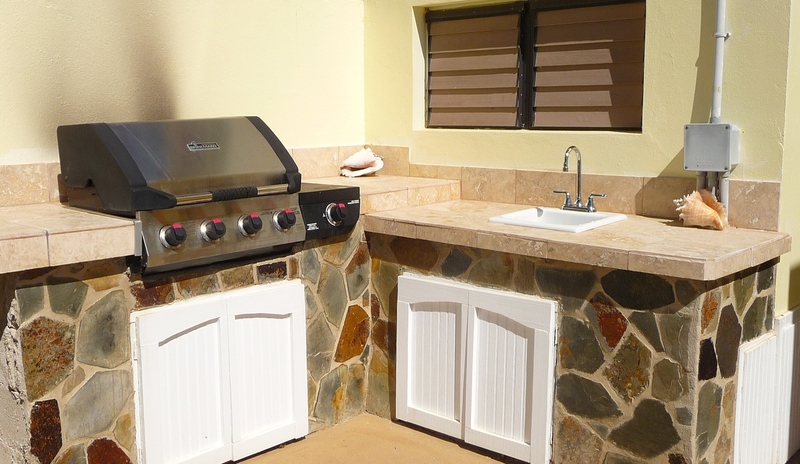 AVAILABLE FOR VACATION RENTAL, BUSINESS ACCOMMODATIONS, OR MONTHLY LEASE. Description: New offering for vacation rental. Perfect for two or three persons, our personally owned oceanview, non-smoking Efficiency suite is a romantic and fully functional accommodation with pillow-top King size bed, Sofa (pullout extra), TV (with expanded digital cable and music programming), DVD/VCR, free Wi-fi, living furnishings, computer desk with ergonomic desk chair, efficiency amenities of mini-fridge, microwave, toaster oven and coffee-maker; designer bathroom with large shower with an awesome ocean view! A/C, ceiling fan, hairdryer, all linens, beach towels, portable chairs, cooler, beach gear, large oceanview patio with seating and comfortable chaise loungers, free designated parking at villa. Magnificent ocean and sunset views - enjoy the tranquility of hummingbirds and watch the cruise ships arrive early morning and depart at evening; a majestic sight, right from your suite. Morningstar Efficiency Suite is located where you want to be! 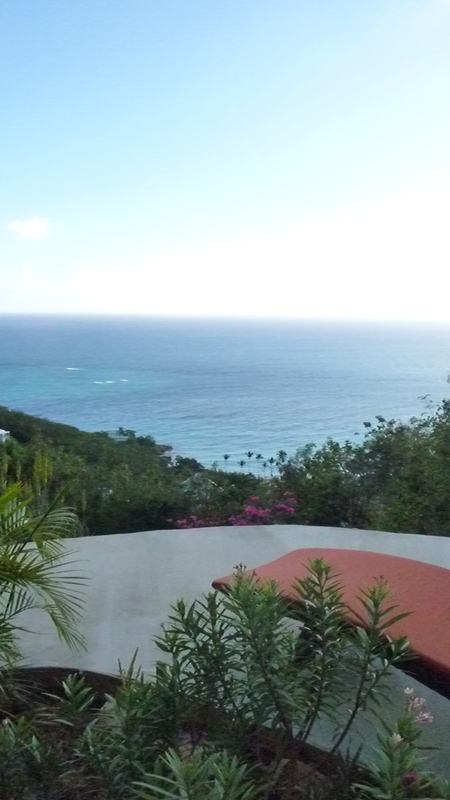 Central island location between Charlotte Amalie and Red Hook on the south sunny shore of St. Thomas. 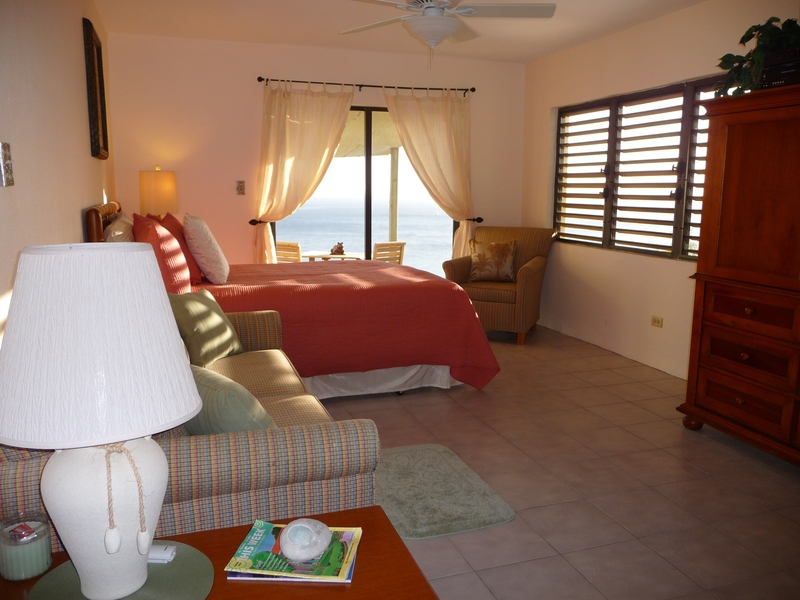 •	Less than 2 minutes short drive to Morningstar Beach with free parking (home of the Marriott resorts, watersport activities for rent, and restaurants) – you can hear the gentle ocean waves from your balcony. 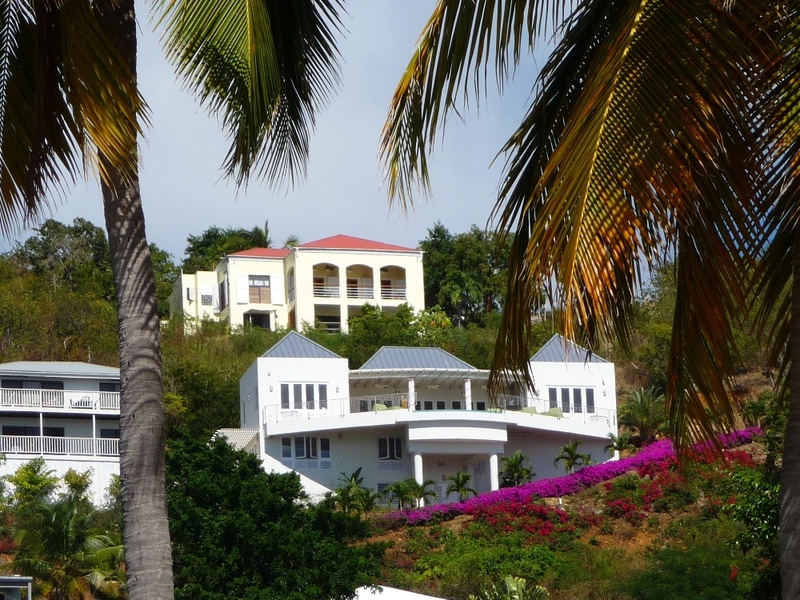 •	5 minutes drive to Havensight/Charlotte Amalie town for world class shopping and dining - very convenient to groceries and dining. •	10 minutes drive to Bolongo Beach, where we own and rent two oceanfront/poolfront condos at Watergate Villas. 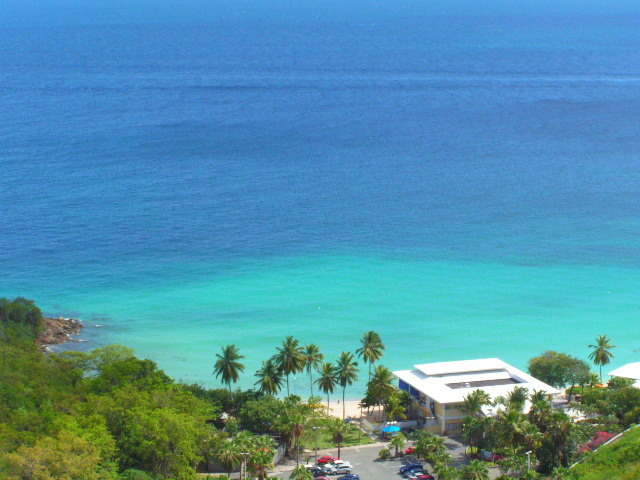 •	Less than 15 minutes to beautiful Magen’s beach. •	Less than 20 minutes drive to Red Hook for the short, scenic 20 minute car ferry ride to beautiful St. John island. 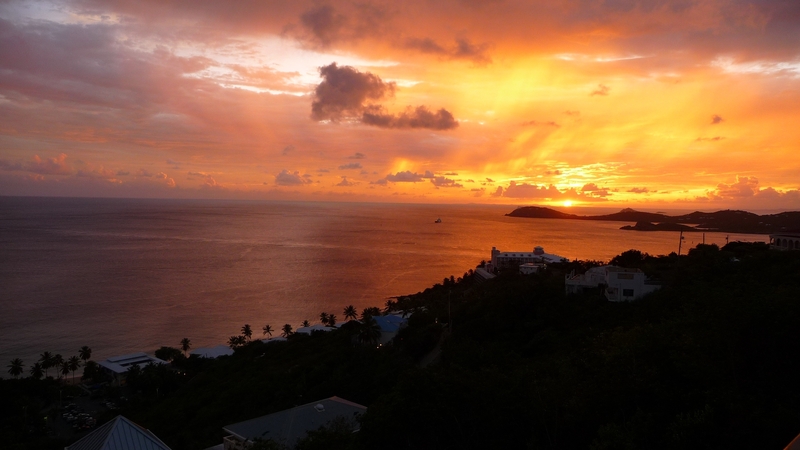 •	Less than 20 minutes drive to Red Hook for person ferries to British Virgin Islands (BVIs) – passport needed for BVIs. Non-smokers, only please. No pets. Morningstar Efficiency is ideal for a Special Honeymoon or Anniversary or Work. 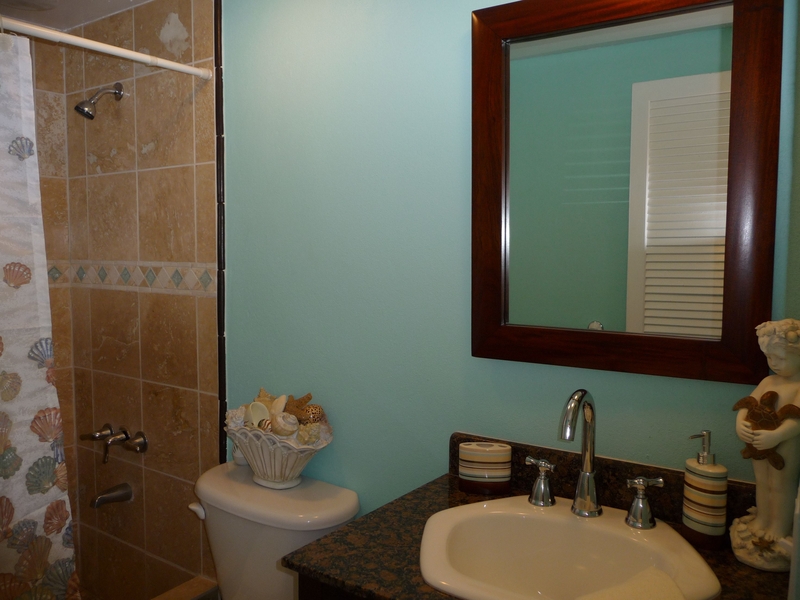 Amenities: Prime Ocean Views; Close to Morningstar Beach; Recently remodeled in winter 2014; Professionally decorated; Wi-Fi internet access; Non-smoking; Air-conditioning A/C; Ceiling fans; King-size bed; Sofa/pullout; Nice bathroom with ocean views from shower! 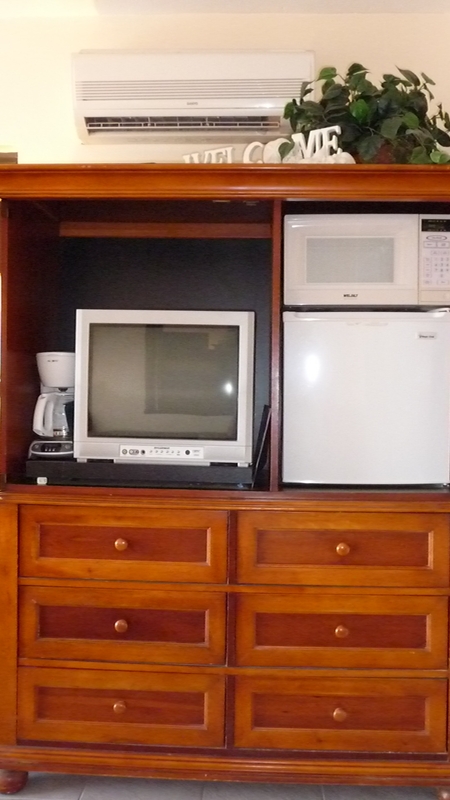 ; Efficiency amenities: microwave, mini-refrigerator, coffeemaker, and toaster oven TV with expanded digital cable and musical channels; Alarm Clock/Radio; Hairdryer; Closet;Starter supply of liquid soap, shampoo, toilet paper, paper towels, trash bags and toiletries. 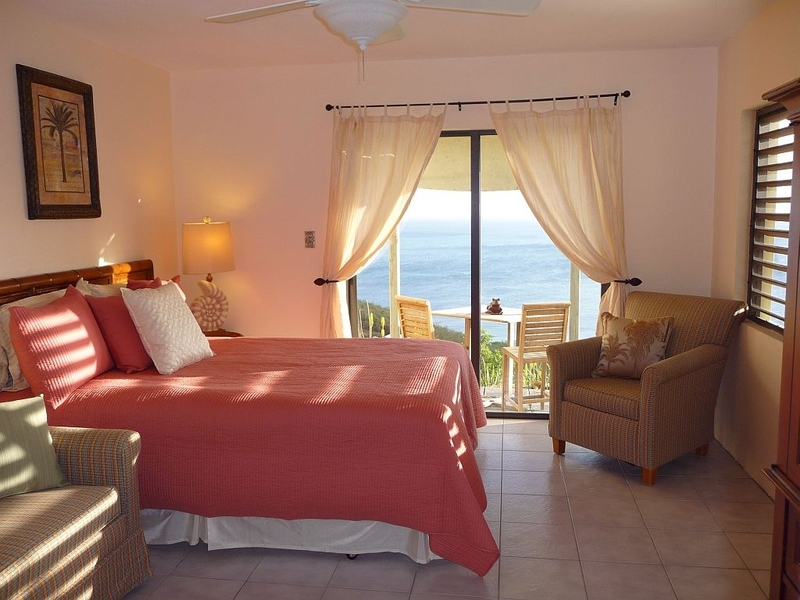 Linens provided including sheets, bath and beach towels; Beach gear; Portable chairs and Cooler; Furnished oceanview lanai and spacious courtyard with Gas Grill; Washer/Dryer (W/D); Convenient free parking at villa. 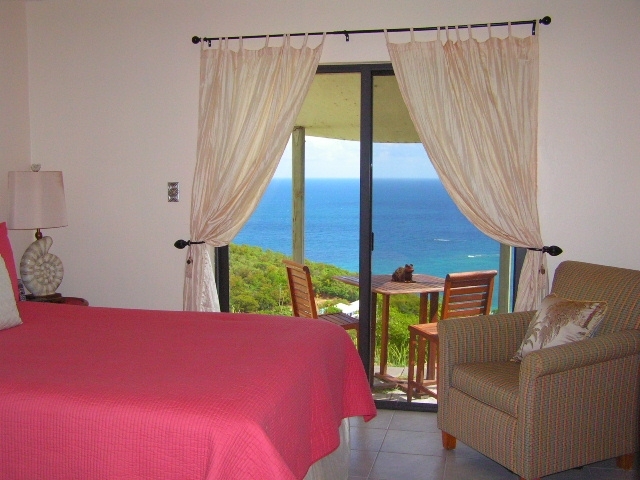 We provide our guests with St. Thomas/St. John dining recommendations and island activity suggestions in email and in the suite to assist with planning a wonderful vacation. Exquisite Amenities Inside & Out! 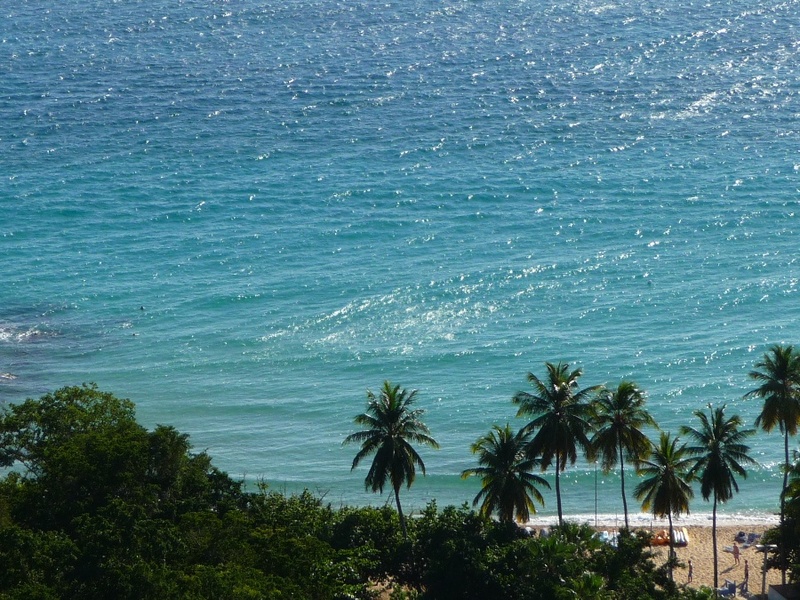 We invite you to make Morningstar Efficiency Suite your Caribbean home away from home, and welcome you to contact us to learn more about taking a special vacation or about living in tropical American paradise. We accept credit card payments via phone or PayPal. Rates are just one of the many benefits of renting directly from the owner. Rates are based on season and duration of stay. Published Rates for Efficiency are for up to 2 persons per night & include taxes and exit cleaning. Monthly Rates are Available. 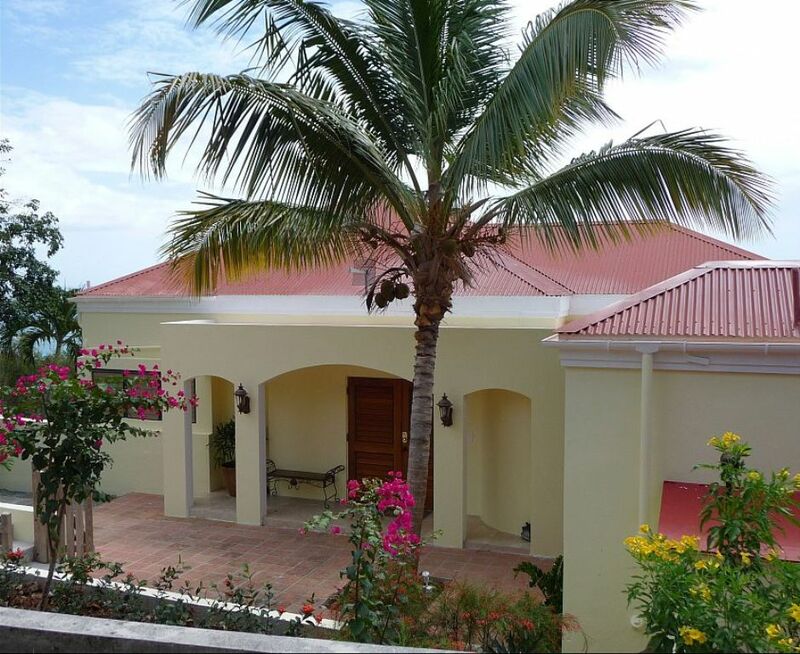 Perfect for Honeymoon or Business Trip Executive Residence; close to town and resorts. For more information or to make reservations, please Contact Us .